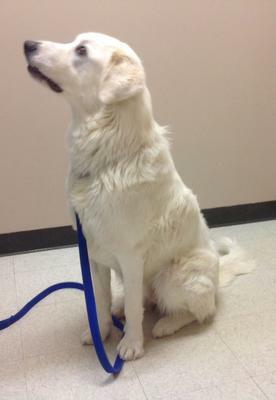 Jupiter is a 1-2 year old "Big White Hairy" that came to us as a stray. He is neutered, up to date on vaccines, and appears healthy. He is a playful, friendly and affectionate dog, looking for a home that can direct his energy and enthusiasm. 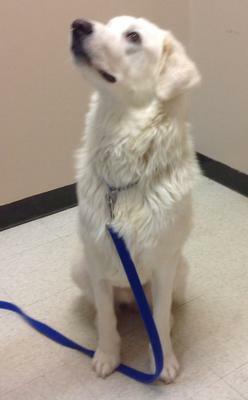 He loves his treats and is learning his basic commands and to walk well on a leash. He enjoys any attention and affection. Jupiter is looking for a home that has experience with livestock guardian breeds, without small children, and where he could be the only dog in the household.